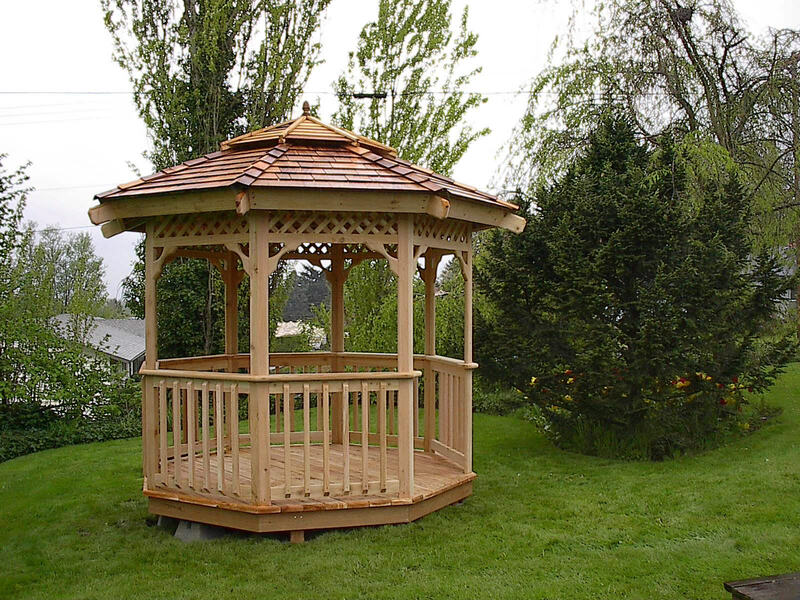 The 8' Traditional Style Gazebo Kit. 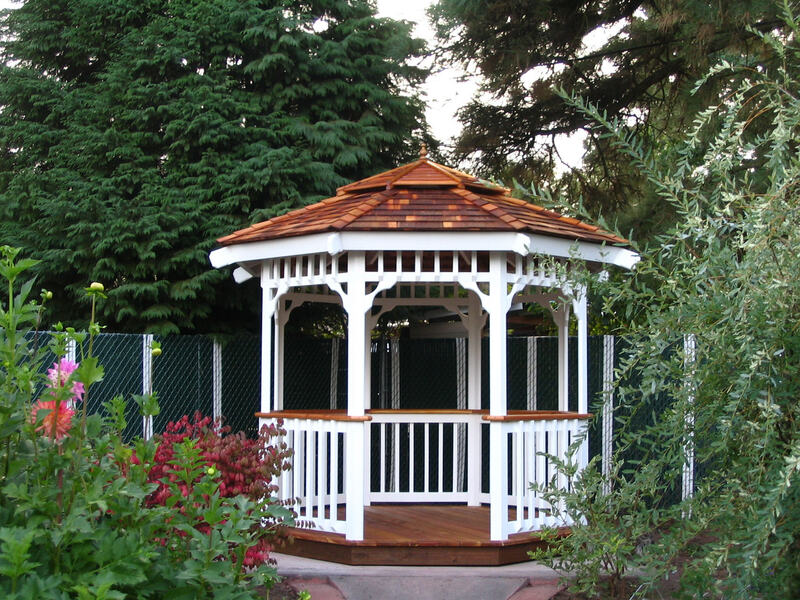 The 8' Traditional with a cedar shingle roof. 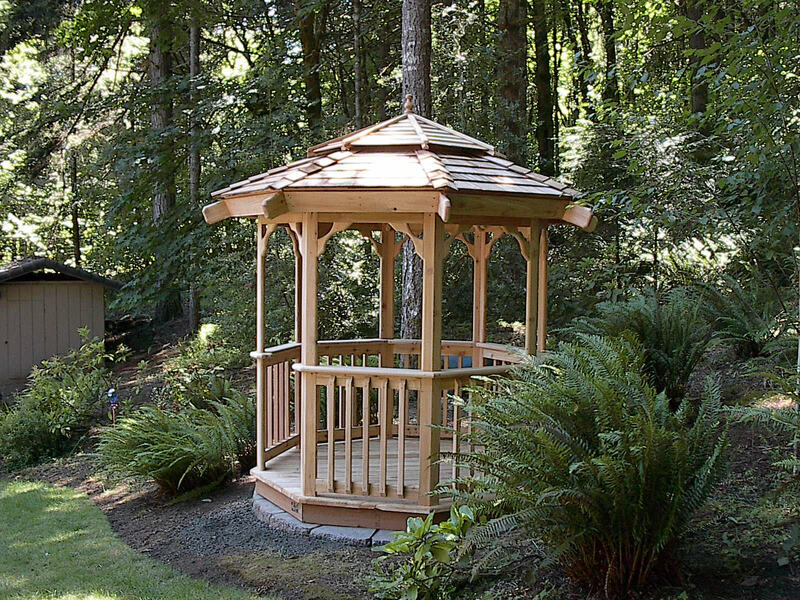 The 8' Traditional style gazebo is the most simple model we offer, enabling us to hold elegant lines and yet we lose nothing in structural strength. 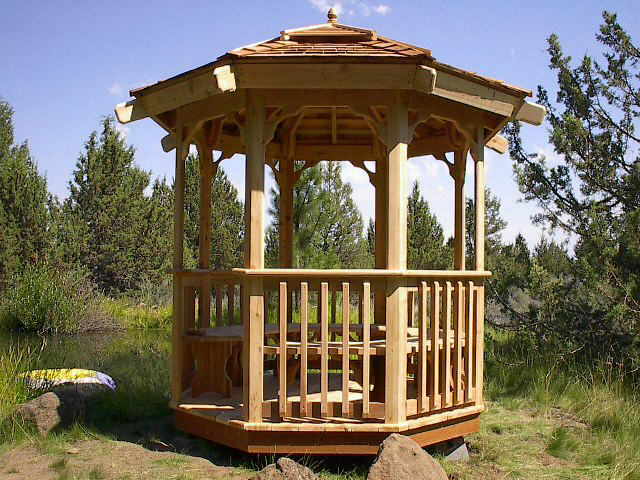 The Deck is built into 2 fully assembled halves. 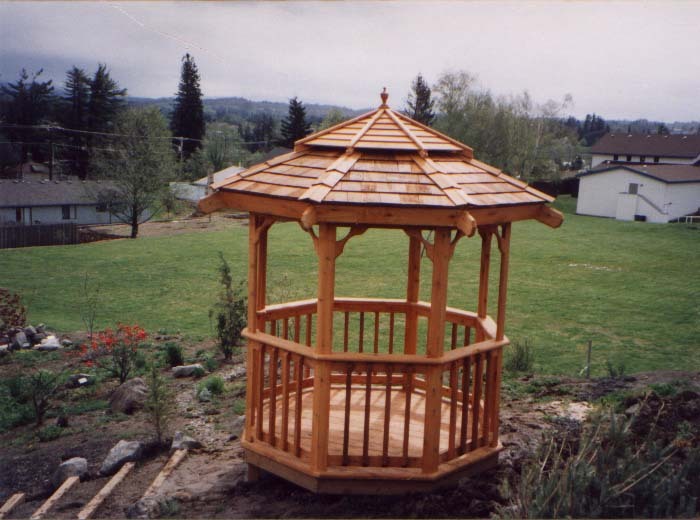 8'- Gazebo Structure with Deck ..................Weight is 1000 lbs for structure and deck.